A few months ago I answered some interview questions about technology and the education of K-12 teachers. The interview questions and answers were never published, but I thought I would share them here. What should K-12 teachers be learning about educational technology? Ed Tech is a fast-changing world right now, and it is not always easy for teachers to make choices about what technology to use with students. First and foremost, teachers need to learn how to choose tools that improve learning or create efficiencies to free up their time to work more closely with students that need more individual attention. 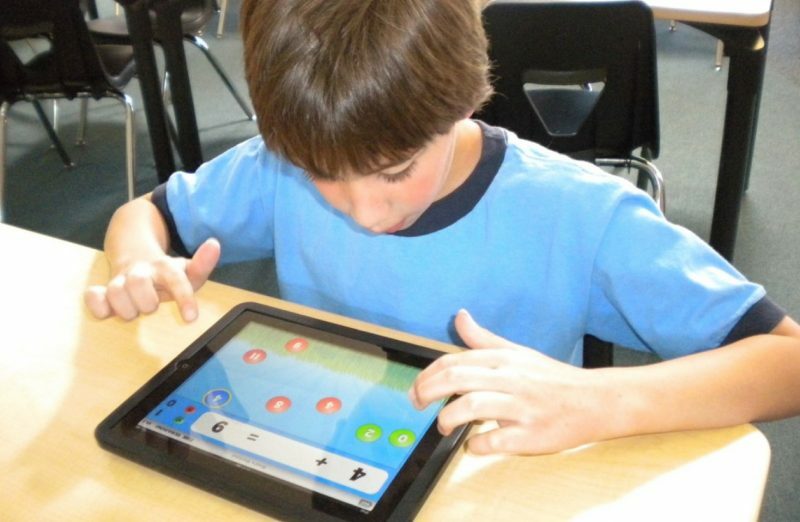 Making the decision about whether a technology tool is effective is a hard-enough call to make, but teachers are faced with other constraints too: they must pay attention to the cost of the tool, the platforms it is delivered on, whether their students’ data will be protected, and if students will have reliable access to the technology from their homes. Necessarily, the choice of platform is often made at a school-wide or district-wide level. Sometimes, the best educational technology simply can’t be used because of one or more of these constraints. What teachers have to learn is that a lesser tool is not always worth it. We should never use educational technology just for the sake of introducing technology into the curriculum. Because the educational technology (both platforms and individual apps and programs) is changing so rapidly, it is important not to focus on teaching specific tools to teachers. It is possible that a tool will be out of date before a student graduates. What we should teach is learning principles for classes of tools. For example, what benefits can learners get from giving a digital presentation? What are the best practices if you assign a presentation? How do you scaffold the experience so that students get the most out of it? How do you write a rubric to assess whether the student has been successful in the task? Simply teaching a future teacher how to use the latest cool presentation software will not be useful to them if they go to a school where they need to use a specific program they have not learned. Teachers need to learn how to make the decision about whether the technology will enhance the learning and engagement of their students, and they need to learn how to learn a new technology. One of the things we can’t lose sight of is that access to the world’s information is now provided through hardware connected to the Internet. We should separate the use of educational technology tool from the general need to incorporate the Internet into daily classroom life. These are two different issues. Students absolutely need to learn how to make sense of the information presented online every day, to discern the credible from the nonsense, and to develop habits that make them good citizens of the digital world. Using the Internet is necessary and valuable enhancement to teaching and should be part of every students’ learning experiences in K-12. What is the state of ed tech? Ed tech is a category we use to describe a large set of tools including, but not limited to: digital learning games, adaptive learning, testing programs, analytics tools, tutorial programs, video-based learning, and experiential learning with VR. Some of these tools, like learning programs built around video, are more mature (consider that YouTube and the MIT Open Courseware project are now more than a decade old). But we see new twists on some of these older tools. For example Khan Academy, which began as a video delivery platform, now has analytics tools and flexible learning paths built into the platform. Maybe it is better to look at ed tech with respect to the number of teachers it now affects. Recent surveys show that teachers are somewhat likely to use technology to improve their own workflow, but are most are still not incorporating technology with students. However, teachers in the United States are under enormous pressure to make sure that students perform up to state and national standards. With their jobs on the line, there is little room for experimentation that may or may not result in improved learning outcomes. No doubt, we do have educational technology today that can help teachers to give more individualized learning experiences to their students, but there needs to be greater dissemination of the findings for what works (see the What Works Clearinghouse from the Institute of Educational Sciences) and administrators must find a safe way to allow teachers to try new approaches without fear of losing their jobs. The best research can tell us that a technology is likely to work, but the infrastructure of schools and the population of students served. For example, research conducted at a suburban school with good internet access and one-to-one computing initiatives may not be transferable when it is tried at a rural school where students don’t have internet access at home. Again this brings me back to my first point. It is incredibly important that future teachers learn how to evaluate how a particular tool might affect learning and engagement within the constraints of their environment. We can do this with teachers who are still in school, but this leaves us with a large population of existing teachers who may not be getting the right training to feel comfortable making the decisions about what ed tech will actually help their students. What should teachers look for in technology schools? What will be effective? Teachers should look for technology that individualizes the learning experience, and I want to be very careful here to emphasize that the learning process should be clearly separated from the end-of unit or end-of term assessment. A good individualized learning tool will be adaptive, quickly moving the student through topics they show mastery of, and slowing down to give more help to the student if they are struggling with a topic. The tool should provide instant feedback to the student, but not necessarily the right answer if the student is incorrect. It is vitally important that learners be given a chance to reflect for themselves on what is wrong with their approach to a problem. At the point of impasse (where the student is frustrated or stuck on learning a concept), the technology should provide a good set of learning resources that will give scaffolding to the learning experience. On the teacher side, the educational technology needs to provide very good analytics on the competencies mastered by each student and a warning if any student seems to be struggling or stuck on a particular competency. It is good analytics that will help the teacher to feel comfortable that students are adequately prepared for state and national exams. What educational technology are you most excited about? For the near future (next 1-2 years) I think that true adaptive learning tools, ones that are modeled around the research about what makes human tutoring effective, have an incredible potential to help teachers. Especially in K-6, learning games can be a fun and effective way for students to learn (provided the games are decent). For the farther future (3-5 years), I am pretty excited about the potential of new learning exploration spaces using VR tools built off of existing smartphone technology. This technology is in its infancy, but the barrier to entry is a smartphone and a pair of cardboard goggles (under $20) to wrap the phone. The focus on testing has reduced the time spent on creative exploration, and I hope that VR will let us create worlds of wonder for students to explore and learn in. We’ve been promised this before (e.g. Second Life) but I think that this time the technology is easy to use and will be readily available.